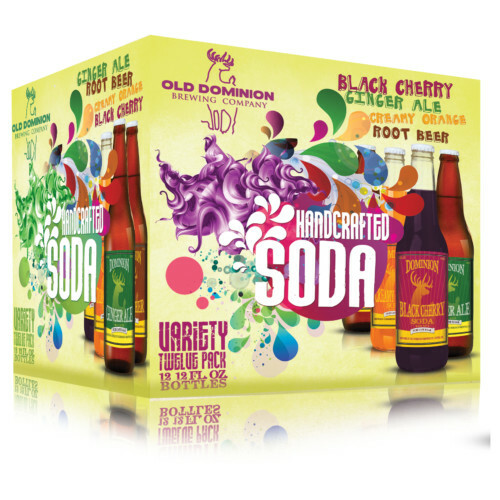 The Dominion Brewing Company has announced the addition of Black Cherry and Creamy Orange soda to their soft drink portfolio. Handcrafted with pure cane sugar from the Domino’s factory in Baltimore, and intentionally omitting caffeine and high fructose corn syrup, these sodas continue to uphold Dominion’s standards for quality libations. Black Cherry pays homage to the classic soda fountain beverage, while Creamy Orange undertakes a modern reinterpretation of orange soda by smoothing the traditionally acerbic citrus and invoking the flavor profile of a carbonated creamsicle. Black Cherry and Creamy Orange soda are available by the case at the brewery. They join Dominion’s other two sodas, Root Beer and Ginger Ale. A variety twelve-pack containing all four sodas will be released in time for the holidays.